The Joint Global Change Research Institute conducts research to advance fundamental understanding of human and Earth systems and provide decision-relevant information for management of emerging global risks and opportunities. An international team of researchers led by the JGCRI developed a new model on vegetation fires that will improve understanding of such fires around the world today. It can also predict their evolution with future changes in the environment and society. 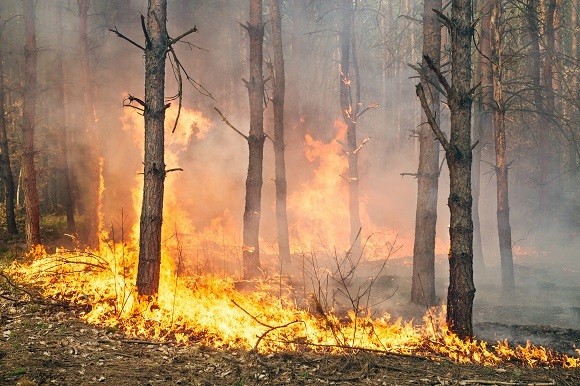 As reported in Biogeosciences, HESFIRE (Human-Earth System FIRE) integrates the role of atmospheric changes like humidity, terrestrial factors like the amount of vegetation available to burn, and human interactions with the environment. Le Page Y, D Morton, B Bond-Lamberty, JMC Pereira, and G Hurtt. 2015. “HESFIRE: a Global Fire Model to Explore the Role of Anthropogenic and Weather Drivers.” Biogeosciences 12: 887-903. DOI:10.5194/bg-12-887-2015. Using a unique integrated assessment modeling capability, JGCRI researchers modeled human, resource, and natural water demands and sources, and projected the global demand for water, balanced and limited by water available at major river basin scale. The research demonstrates how water scarcity may lead to changes in global agricultural production. The work also confirms that uncertainties in non-renewable groundwater will play a significant role in determining the global and regional use of water. Earth’s temperature changes are happening faster than historical levels and are starting to speed up. JGCRI scientists found that the Earth is now entering a period of change that is most likely faster than what’s occurred naturally over the last thousand years. 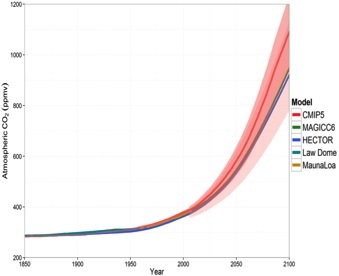 The research, published in Nature Climate Change, shows that these changes indicate that today’s world population will have to live through and adapt to a warming world. Smith SJ, JA Edmonds, CA Hartin, A Mundra, and KV Calvin. 2015. 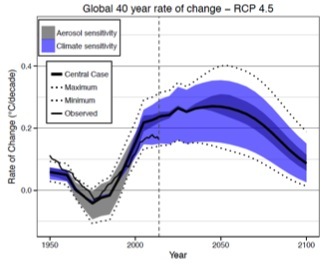 “Near-Term Acceleration in the Rate of Temperature Change.” Nature Climate Change, 5: 333-336. DOI:10.1038/nclimate2552. 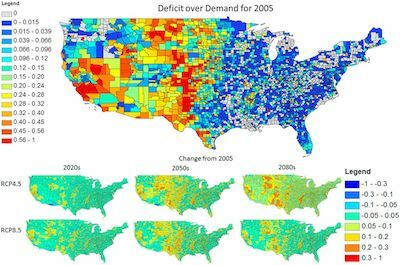 Mitigation Could Exacerbate Water Deficits in U.S. 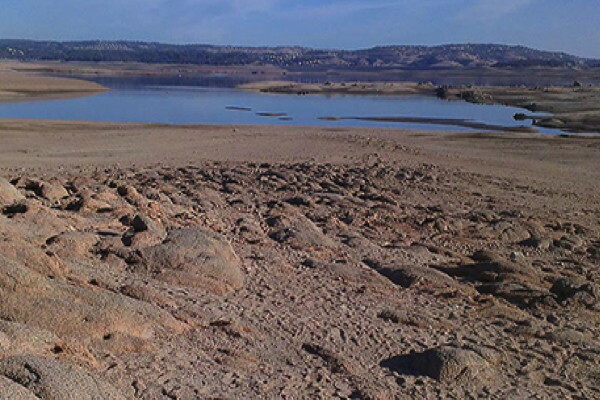 While there is evidence that climate warming will contribute to increasing intensity and duration of drought, understanding the overall impact of climate change mitigation on water resources requires accounting for the impact of mitigation-induced changes in water demands from human activities. JGCRI and PNNL scientists found that in the U.S., over the course of the 21st century and under one set of consistent socioeconomics, the reductions in water stress from slower rates of climate change resulting from emission mitigation are overwhelmed by the increased water stress from the emissions mitigation itself. Hejazi MI, N Voisin, L Liu, LM Bramer, DC Fortin, JE Hathaway, M Huang, P Kyle, LR Leung, H-Y Li, Y Liu, PL Patel, TC Pulsipher, JS Rice, TK Tesfa, CR Vernon, Y Zhou. 2015. “21st Century United States Emissions Mitigation Could Increase Water Stress more than the Climate Change it is Mitigating.” DOI: 10.1073/pnas.1421675112. Water is required to produce the electricity that heats homes, powers industry, and yes, dries hair. 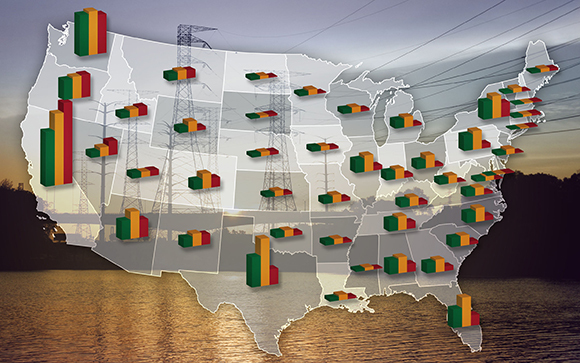 To understand the increasing water requirements by U.S. electric power producers, JGCRI scientists and collaborators employed a computational model to estimate the state-by-state need through mid-century and beyond. Liu L, M Hejazi, P Patel, P Kyle, E Davies, Y Zhou, L Clarke, and J Edmonds. 2014. “Water Demands for Electricity Generation in the U.S.: Modeling Different Scenarios for the Water-Energy Nexus.” Technological Forecasting and Social Change, 94: 318-334. DOI:10.1016/j.techfore.2014.11.004. Hector v1.0, a simple climate model developed by a team of researchers from JGCRI, was designed to be fully integrated into integrated assessment modeling tools and studies that provide rapid emulation of key climate parameters. Hector can answer fundamental scientific questions such as what future concentrations of greenhouse gases will be and how they will affect the balance of heat that enters and leaves Earth’s atmosphere. CA Hartin, P Patel, A Schwarber, RP Link, and BP Bond-Lamberty. 2015. “A Simple Object-Oriented and Open-Source Model for Scientific and Policy Analyses of the Global Climate System – Hector v1.0.” Geoscientific Model Development 8: 939-955. DOI: 10.5194/gmd-8-939-2015. JGCRI researchers and colleagues at US EPA, US State Department, University of MD, and IIASA, examined the implication of the Intended Nationally Determined Contributions (INDCs), registered for the 2015 Paris Agreement, for the likelihood of long-term climate change, finding that the INDCs in conjunction with post-2030 actions could reduce the likelihood of severe climate change in 2100. Fawcett, A., G. Iyer, L. Clarke, J. Edmonds, N. Hultman, H. McJeon, J. Rogelj, R. Schuler, J. Alsalam, G. Asrar, G. Creason, M. Jeong, J. McFarland, A. Mundra, and W. Shi, “Can Paris pledges avert severe climate change?” Science 350, no. 6265 (2015): 1168-1169. 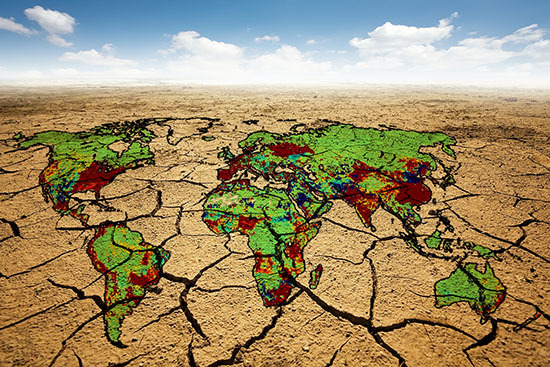 JGCRI researchers used a unique modeling capability to show the effects of global change on water scarcity. When they incorporated water use and availability in GCAM and ran scenarios of different land use, energy, and particularly bioenergy pathways, they found that water scarcity worsens in scenarios with extreme biomass production and improves in scenarios with limited bioenergy use relative to a higher-emissions reference scenario. Hejazi M, J Edmonds, L Clarke, P Kyle, E Davies, V Chaturvedi, M Wise, P Patel, J Eom, and K Calvin. 2014. “Integrated Assessment of Global Water Scarcity over the 21st Century under Multiple Climate Change Mitigation Policies.” Hydrology and Earth System Sciences, 18: 2859-2883. DOI: 10.5194/hess-18-2859-2014. 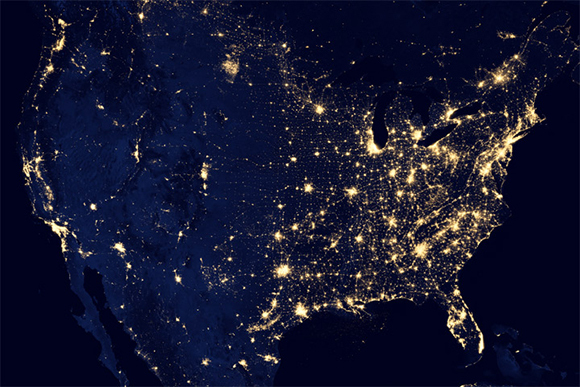 From far above the Earth, a satellite’s view of nighttime lights reveals the globe’s most populous urban areas. A new method developed by JGCRI scientists maps urban areas using the night sky light intensity measured by those satellites. Zhou Y, SJ Smith, CD Elvidge, K Zhao, A Thomson, and M Imhoff. 2014. “A Cluster-based Method to Map Urban Area from DMSP/OLS Nightlights.” Remote Sensing of Environment, 147: 173-185. DOI: 10.1016/j.rse.2014.03.004. The AgMIP model intercomparison explored climate impacts using a range of different crop and climate models. The study focused only on the RCP 8.5 scenario across models. In this study, JGCRI researchers applied the AgMIP yield information to explore implications for other emissions trajectories. 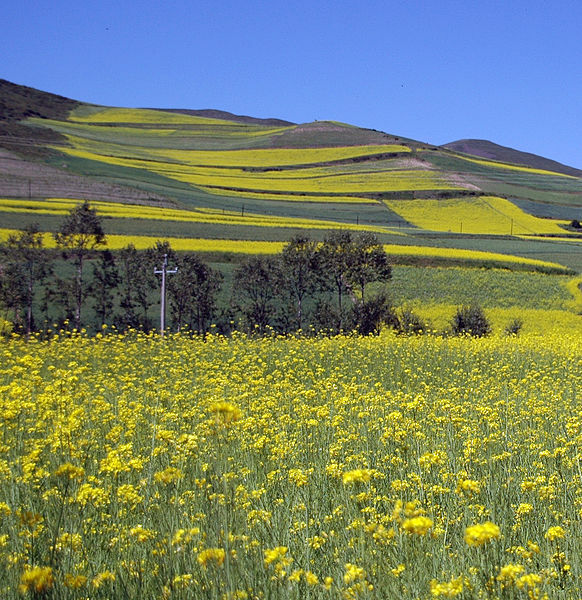 They found that climate impacts on agricultural and bioenergy yields can have important implications for land use and bioenergy potential across emissions scenarios. Kyle P, C Müller, K Calvin, and A Thomson. 2014. “Meeting the Radiative Forcing Targets of the Representative Concentration Pathways In a World with Agricultural Climate Impacts.” Earth’s Future, 2: 83-89. DOI: 10.1002/2014EF000020. JGCRI researchers organized 5 internationally recognized modeling teams to explore the implications of the energy supply revolution occurring in natural gas for future greenhouse gas emissions. 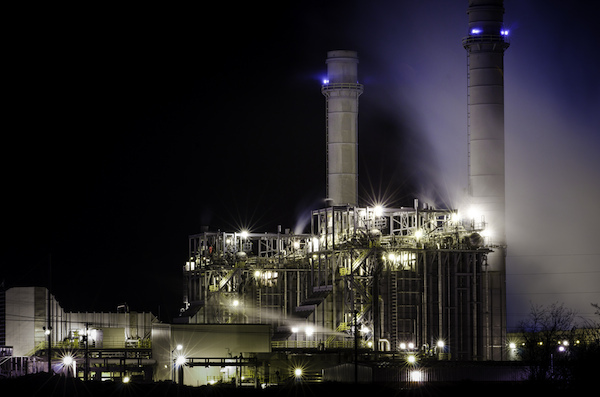 By comparing scenarios that included abundant gas with those that did not, the researchers found that abundant gas had little effect on future fossil fuel CO2 emissions and only a slightly positive effect on overall greenhouse gas emissions. McJeon, Haewon, Jae Edmonds, Nico Bauer, Leon Clarke, Brian Fisher, Brian P. Flannery, Jérôme Hilaire, Volker Krey, Giacomo Marangoni, Raymond Mi, Keywan Riahi, Holger Rogner, Massimo Tavoni. (2014) Limited Reduction in Climate Forcing from Increased Use of Globally Abundant Natural Gas. In a published report, JGCRI researchers at Pacific Northwest National Laboratory surveyed practices in 22 countries to describe various approaches to building energy codes and implementation measures. In concert with the Global Building Performance Network and other international partners, their work supports a foundation of learning and exchanging best practices in code implementation to help ensure that building energy codes deliver full benefits. Reference: International Partnership on Energy Efficiency Cooperation (IPEEC). 2015. 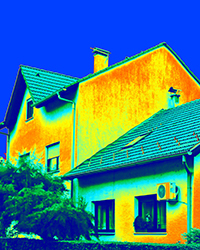 “Delivering Energy Savings in Buildings: International Collaboration on Building Energy Code Implementation.” Available at: http://ipeec.org/publications. Working with partners at the China Academy of Building Research (CABR), JGCRI researchers analyzed current and future building energy use in rural China and developed an assessment of the issues and options for improving capacity and implementation of a building energy standard. 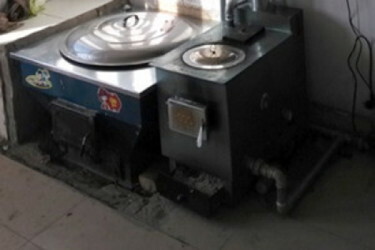 As a direct result, China has since adopted a voluntary code that has been used in over 1 million households, improving energy efficiency in rural buildings.